Nine major financial institutions are aiming to establish a member-owned equities exchange to rival incumbents Nasdaq and NYSE, following bitter disputes over transparency and costs of trading in the US. The Wall Street firms collaborating on the launch include Bank of America Merrill Lynch, Charles Schwab, Citadel Securities, E*TRADE, Fidelity Investments, Morgan Stanley, TD Ameritrade, UBS and Virtu Financial. Those involved have agreed to establish the equities exchange, known as Members Exchange (MEMX), and plan to file an application with the Securities and Exchange Commission (SEC) early this year to operate as a national securities exchange. MEMX’s mission is to increase competition and transparency, while reducing fixed costs and simplifying execution of equity trading in the US, the institutions said, with the latest technology and a low-cost fee structure. The new exchange will differentiate itself from incumbent exchanges with a limited number of order types for transparent interactions, lower pricing on market data and connectivity and transaction fees, and no speed bumps, according to the MEMX website. Cifu has been outspoken about the supposed lack of transparency at regulated exchanges operating in the US, having most recently participated in a roundtable event hosted by the SEC debating the issue of rising costs of exchange market data and access. Investment banks, broker-dealers and trading firms on Wall Street have argued that market data products offered by exchanges such as NYSE, Cboe and Nasdaq, are grossly overpriced considering how little they allegedly cost to produce and their importance in terms of regulatory compliance. “Participants in today’s equity markets deserve an innovative alternative that is aligned with their interests, which is why we are pleased to support the launch of this new trading platform,” Vlad Khandros, global head of market structure and liquidity strategy at UBS, commented about the launch of MEMX. The MEMX website stated that it expects to start trading shortly after receiving SEC approval to operate as a national securities exchange. 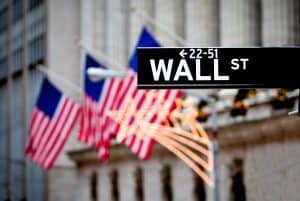 The post Major US institutions to rival NYSE and Nasdaq with launch of ‘low-cost’ exchange appeared first on The TRADE.